Matreya LLC is a lipid biochemical company offering a comprehensive line of sphingolipids, glycosphingolipids, gangliosides, globotriaosylceramides, phospholipids, fatty acids, and sterols. We have a trusted and established reputation for high purity products and dedicated technical assistance. Our pride and reputation is in our customer satisfaction. O-Acetyl-gangliosides have recently been implicated as important cancer specific antigens. Matreya now offers O-Acetyl-Gangliosides for this exciting and important area of research. Matreya's team manufactures and sells a broad range of Lipids, Biochemicals, Signal Transduction Molecules, Biomarkers, and Lysosomal Storage Disease Markers. These standards are ideal for Disease, Microbiology, and Food Research. Matreya is one of the most comprehensive suppliers of Sphingolipids, Glycosphingolipids, Gangliosides, Globotriaosylceramides, Fatty acids, and Sterols in the world. We have been trusted for our chemical purity and technical assistance for well over two decades. Matreya's strength is in synthesis, extraction and purification of natural products. We routinely produce custom preparations of high quality and purity which are not part of our product line. We are capable of producing large volumes of our products to meet your needs. 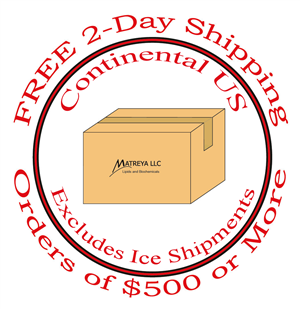 Please contact us with questions or suggestions at customerservice@matreya.com or 1(800)342-3595. We can better anticipate your needs through your feed back and suggestions. Thank you for helping us to better serve you.